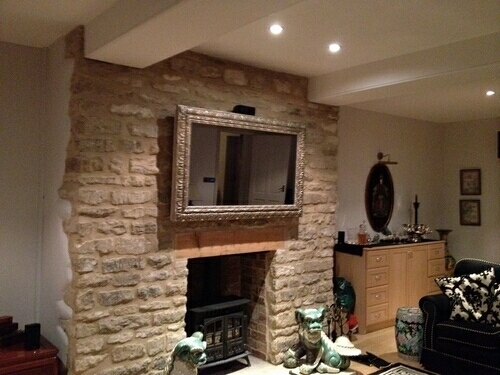 AV Installs Ltd TV Framing Service offers customers a fantastic innovative solution to hiding Flat Screen Televisions. 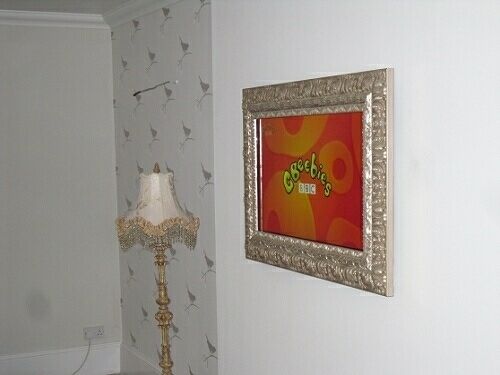 All TV Frames and Mirror TV frames are handmade by expert craftsmen from the frame design of your choice. There is an extensive range of frame mouldings available from modern to contemporary including traditional ornate frames gilded in precious metals, whatever your existing decor we will be sure to find a frame design that compliments the aesthetics of your room. AV Installs can also supply any frame moulding design in any colour, so if you find a design you like but would like a different colour speak to one of our team today on 0845 474 1476. Our TV Frames are retro fitted as an overlay system on top of an existing wall mounted flat screen TV using our own custom fixing system. The frame surrounds the screen area hiding the traditional black plastic bezel around the screen area entirely and also comes with side profiles if required ensuring that the TV is not visible from any angle. Included with the framing service is an IR management system that allows the TV’s existing remote control to still operate. This works by fitting an IR emitter into the frame itself, an IR receiver and manager is provided point your remote control at the receiver and the TV’s remote will work seamlessly. Every TV Frame is handmade at our workshop in Northamptonshire and we are always delighted to complete bespoke projects, if you already have an idea with regards to a frame or a specific look then please speak to one of our design team today who will be happy to discuss your ideas and turn them into reality. AV Installs also offer a TV Mirror Framing Service turning you flat screen TV into a Mirror TV using dielectric beam splitting mirror glass technology often found in telescopes and scientific instruments. 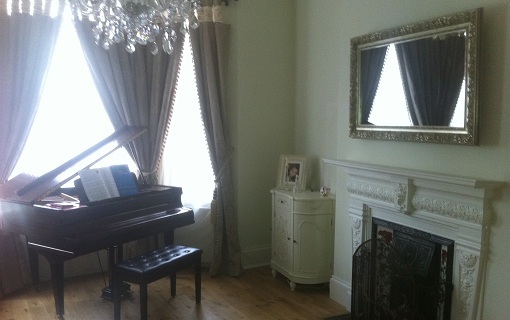 The glass fits into the frame over the existing screen and when the TV is switched off the glass turns to a mirror finish completely hiding the screen behind, at the flick of a button your TV is turned on and the mirror glass fades allowing your favourite TV shows and movies to shine through free from any distortion or picture quality loss. 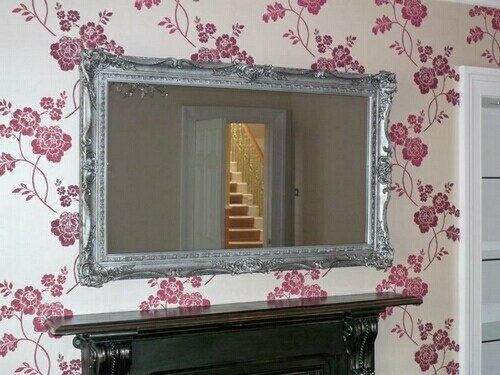 Our Mirror TV glass can be added to any of our TV frame designs and is the perfect solution to hiding big screen TVs.